With more than five million homes sold annually in the United States, purchasing a home remains at the center of the American dream. A large percentage of these buyers will be making this major purchase for the first time, which can be an extremely stressful and overwhelming experience. Even for an experienced homebuyer, purchasing a home can be a daunting undertaking, as they are well aware of the stack of paperwork that must be completed in order to get the keys to their new home. One of the lesser-known aspects of purchasing a home is the role that title insurance plays within the closing process. Title insurance is a very important investment, so we’re sharing some information to help homebuyers better understand its role in the home buying process. Title insurance protects real estate owners and lenders from property loss or damage they could experience from liens or defects in the property’s title. Unlike other insurance options that require monthly premiums, title insurance is a one-time fee paid by the buyer at the time of closing. Title insurance rates differ based on the value and location of the home being purchased. While title insurance is not mandatory, it is a strong investment. Who is Title Insurance For? Both homebuyers and lenders need title insurance in order to be insured against various possible title defects on a property. Prior to closing, the insurance company will run a title search on a property. This typically takes between two and three business days and statistics show that more than 33 percent of title searches result in a problem that must be resolved before closing. Liens or defects on the title can include tax liens, abstracts of judgment, child support liens or bankruptcies. A lien means another company or person has the right to keep possession of your property until your debt is repaid. Without title insurance, the new buyer would be responsible for clearing any defects that are on the property. What Could Happen If You Don't Get Title Insurance? Here's how things could go wrong. At the most extreme, the seller may knowingly try to sell you a home he or she doesn't own. There have been instances of renters posing as sellers. However, typical title issues are less worthy of a crime show, but more complicated. For example, the seller might have co-purchased the house ten years ago with a brother he hasn't talked to since and is unaware that he now needs his brother's signature to sell. Or a problem might be lurking in the more distant past. For example, the seller might have bought the place from a single woman, not realizing that her ex-husband still co-owned the property and hadn't signed off on the sale as required. Or the seller might have inherited the house under the terms of a will that -- oops -- turns out to have been out-of-date and a more recent will leaves the house to someone else. Not all title problems involve the whole house. For example, liens may have been filed against the house -- that is, people or agencies may have, within the public records, legally claimed the right to be paid from the proceeds of the property's sale, in order to settle the owner's debt to them. Typical debts include taxes, child support, and contractor's fees. These liens stick to the house like glue, until the house is sold or foreclosed on. In any of these situations, title insurance will step in to help. One important note on co-op housing: If you're buying a co-op, where you won't actually own real estate (just shares in a corporation), no title insurance is needed. A common misconception about title insurance is the difference between closing on a home and funding a home. While they happen almost simultaneously, closing and funding are different actions and both must occur before the keys to the house are released to the buyer and a check is issued to the seller. At closing, the seller will sign over the deed to the buyer. The buyer will sign the note, deed of trust, loan application and truth in lending documents. During funding, the lender will authorize the release of all monies to the seller and all third parties once the funding documents are approved. The HUD sheet, an itemized form listing all service fees that must be paid out, must balance with the money coming in before any funds can be released. For example, the money coming in from the lender and your down payment must match the money that needs to be paid out to the seller, the REALTORS®, the title insurance company and other involved parties. If there is a discrepancy and the HUD doesn’t balance perfectly, funding cannot be released until the issue has been resolved. In order for the transaction to be 100 percent complete, meaning the homebuyer will receive the keys and the seller will receive the money from their home sale, both parties must complete and sign all of the closing documents, these documents must be verified and approved by the title and lending companies, and funding has to be cleared and sent. It is important to remember that it takes two parties to complete a home sale and in most cases, the two parties sign the closing documents at different times. While title insurance companies work with both parties to make sure the closing process is as quick and smooth as possible, it is not uncommon for delays to occur and the transaction to take place over a few hours. Many homebuyers have misconceptions about the earnest money deposit required when purchasing a home. The earnest money deposit is a good faith gesture from the buyer that tells the seller you are committed to purchasing the home. This deposit is separate from the down payment, but is usually applied to the down payment or to closing costs. The buyer will provide this check to the title company before signing the final closing documents and the check will be cashed into an escrow account on that day. 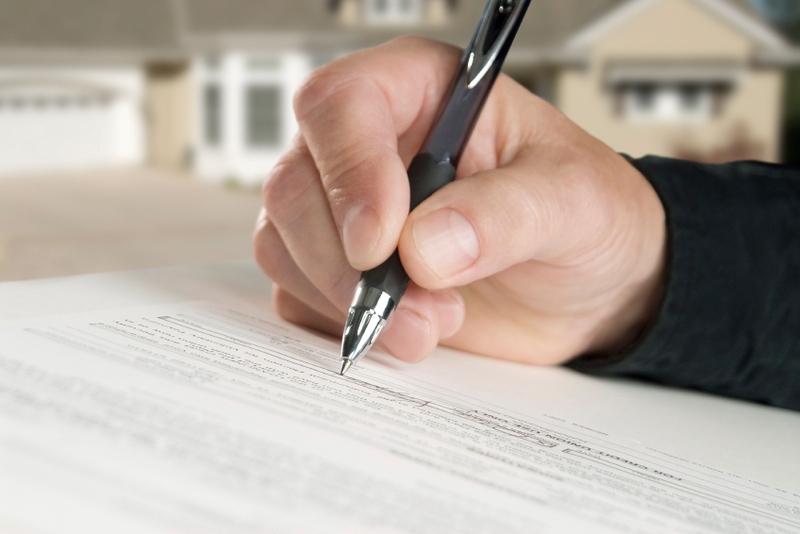 Many people overestimate how long it will take to sign all of the necessary documents to complete the closing process. Signing all closing documents takes, on average, 60 minutes for the buyer and 30 minutes for the seller. It is not necessary to clear your entire day, but make sure you give yourself enough time in case any unforeseen delays occur. If you are married, make sure that your spouse is present to sign the documents, as both parties are required to be in attendance to sign off on the paperwork at closing. In Texas, even if only one person’s name is on the title, both spouses must sign off on the transaction as spouses have homestead rights, regardless if his or her name is on the title. Make sure you bring a valid government-issued ID including a driver’s license, passport or voter ID card to prove your identity at the time of closing. It is important to understand the basics of title insurance and the role it plays when purchasing a home so you can make an informed decision and have a successful transaction when buying or selling a home.